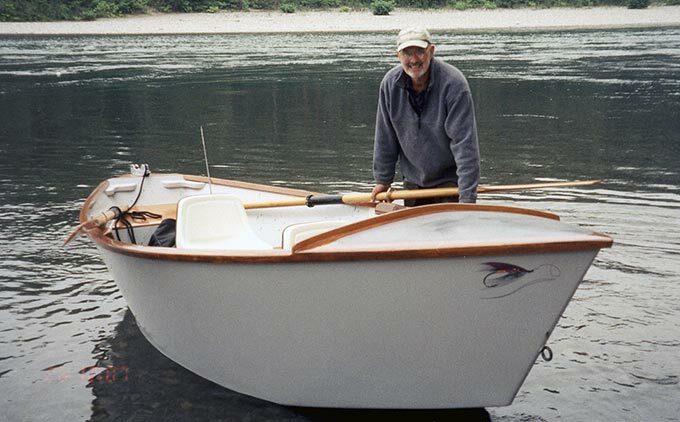 Tom Shives built this Glen-L Drifter, from Glen-L Marine plans, with a small group of men from his church. The men regularly got together to help each other out on their projects, providing as Tom says "great fellowship and an excellent learning experience." Tom has had lots of experience with drift boats and added some special touches to this boat like leg braces and comfortable seating. Contact Tom at shives@att.net.